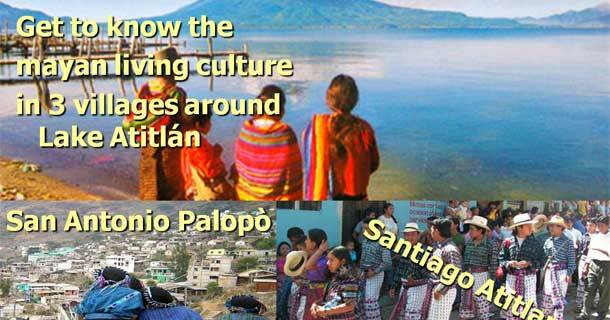 Lake Atitlan Tour, learn and visit Mayan villages around Lake Atitlan. The tour is conducted in boat, your guide will pick you up at your hotel and take you to three indigenous towns on the lake. We offer the option to visit the biggest Mayan Towns including traditional San Juan La Laguna, San Pedro La Laguna and Santiago Atitlan. Your guide (optional) will share their knowledge of local customs and traditions, their beliefs and their crafts. Come and enjoy Lake Atitlan, described by Aldous Huxley as the most beautiful lake in the world and learn more about its people, customs and traditions. If you want to swim and enjoy some of the beautiful beaches, we can take you to Playa Dorada or the Cristalinas, near San Pedro and enjoy the tranquility of the area. This entry was posted in Atitlan Tours and tagged cultura maya, lago atitlan, tour cultural by Casa Alegre. Bookmark the permalink.